“these times are the coming together of heaven and earth…. 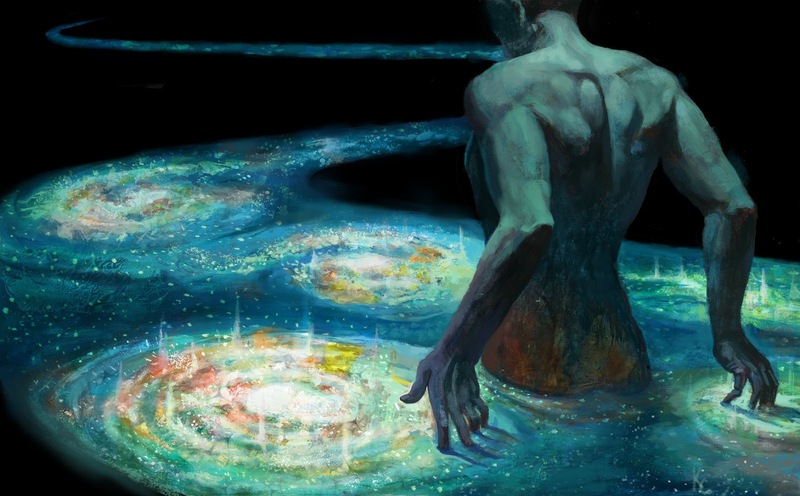 “we walk in realms of the mythical, the archetypal…. “we are embraced by arms of Divinity … and find ourselves as fingers of God Herself…. “we are the myths in motion … are witness to secrets of eternity finally revealed…. Activist, psychotherapist, pre- and perinatal psychologist, author, and environmentalist. I seek to inspire others to our deeper, more natural consciousness, to a primal, more delightful spirituality, and to taking up the cause of saving life on this planet, as motivated by love. This entry was posted in awakening, book, funnygod, newage, prophecy, Psychology, Spirituality and tagged Awakening, book, earth, funnygod, heaven, Metaphysics, myths, newage, psychology, spirituality, transpersonal. Bookmark the permalink. 21st Century and Its Discontents, Part 26: Toxic Earth – Prognosis: We’ve Created Our Own “Monsters” and Roots of Apocalypse – We Stood Up! 21st Century and Its Discontents, Part 27: How Can You “Let It Go” If You Won’t “Pick It Up”? Toxic Womb/ Toxic Earth … Prospects. A Smaller Number of Us — Standing in the Right Place and With a Lever Big Enough — Might Be All That Is Needed to Move the World: Apocalypse? Or Earth Rebirth? Apocalypse Emergency – Who Would Want Such an Ending? Why Not Instead Become the Best Humans Who Have Ever Lived on This Planet…. Apocalyptic Wake-Up Call: Apocalypse Emergency, How Can You Turn Away? Apocalyptic Wake-Up Call: Who Would Want Such an Ending? Why Not a Hero’s Tale Instead? Authenticity’s Last Stand: Will the Internet Fend Off the Zombie Apocalypse? … The King’s Gotta Die Sometime! Blue Meanies – Oh, Those Prankish Republicans! Derailing War and Violence, Part 1: Men Would Rather Be Manly Than Alive and What Say We Leave a Planet for Our Offspring? Ecocide – How Dare We Be Species-Suicide Bombers Taking ALL Life Down With Our Own? Freedom Repealed, Part Two, Dire Vision, Revelation — Words a Decade Old Come Back to Haunt…. If Freedom of the Press Was Repealed, How Would You Know? Healing Crisis, Part 3: Biting the Feeding Hand … Perinatal Rage and Panicky Electorate. You Didn’t Really Believe Elections Had Anything to Do With Issues, Did You? Money Changing Everything – The Planting of Lies: If Both Parties Are Equally Funded by Corporations, Why Have Democrats Always Been Woefully Underfunded? Naomi Klein, at Occupy Wall Street, emphasizes importance of the movements radical authenticity – My favorite sign here says, “I care about you.” In a culture that trains people to avoid each other’s gaze, to say, “Let them die,” that is a deeply radical statement. Planetary Apocalypse – It’s a Trillion-Alarm Fire, Not a Litter Problem! Planetmates tell humans, “You can no longer continue in your ignorance.” The Great Reveal exposes human vanity but reveals the most wonderful truth. Rebirthing Rituals, Part 7: Know Thyself … Let the Buck Stop Here! We Could Use More “Narcissistic” Generations. Strange Days. Apocalypse? Or Earth Rebirth? The Corporate Feast: When you’re feeling pissed on, they’d like you thinking it’s really money raining down. The Great American About Face, Part One: Why Insist on the Same Mistakes That Led to the Great Depression? The Illuminati Threat? Yea, and I’ve got some “rich” teachers, union folk, and college students out to get you, too. The Only Thing We Can Be Truly Sure Of … Is We Can Never Be Sure… Which Means That Anything Is Possible… Which Means That Everything Is Possible. The Perinatal Zeitgeist in Film: Everything You Always Wanted to Know About Being Born … Playing Now, in Theaters Near You! Universal Health Care in America? Don’t Make Me Laugh… You Get an “Assumed Doctor” and Like it or You Choose to Die. What to Do – We Get By With a Little Help, from Our Nature … Stand in the Place Where You Are. Can You Handle Happiness? When All Seems Lost…. You Might Want to Stop Fighting Rebirth: Trusting Higher Forces … Say “Good Night,” John Wayne, and How Can You Be Borne Up If You Won’t Let Go? Will We Continue Shooting Ourselves in the Foot? Dire Prediction … Before Voting for Romney, Remember, We Knew This Before.